Hi friends! Despite Monday’s snow, I’ve got my sights on springtime. Like I imagine you must be feeling, I’m tired of my neutral wardrobe so typical of winter months. I’ve been living in sweaters, scarfs, leggings, and boots. It seems like everything is either cream, grey or black – with the occasional pop of red from my bootlaces. There’s a word for it. Greige. 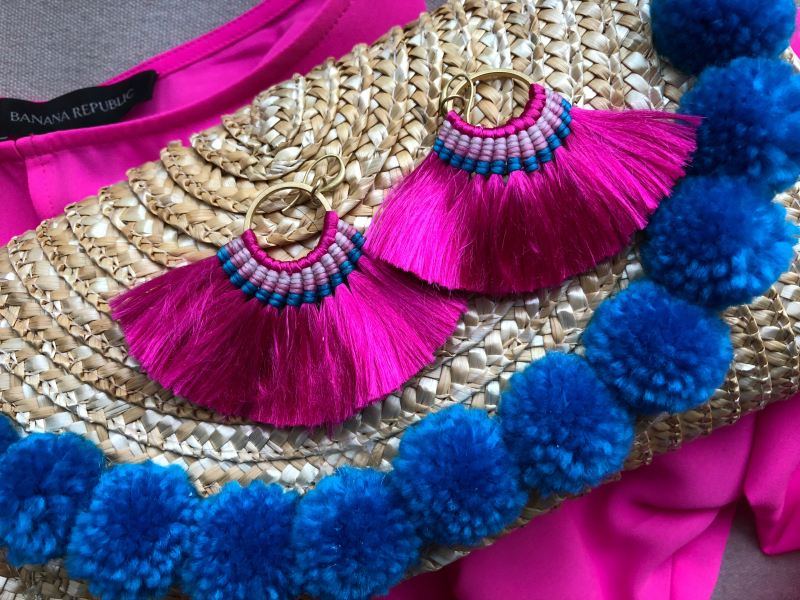 I’m so ready for new fabrics, bright colors and textures that remind me of warmer weather. If you think about it, the only real difference in our clothes as we transition from season to season is the color. We wear pretty much the same type of clothes all year. Even though we pack away our thickest sweaters, our shirts and blouses are pretty much good for most of the year. We switch out our dark “winter” jeans for stone washed and white in the summer. The real stars of any new season are the shoes and the handbags. Gimme all your strappy sandals, peep-toe wedges and fancy flip-flops. Put away those dark leather handbags in favor of small crossbody bags and anything straw! Recently, I was in Michael’s craft store and saw a whole section of items that you can personalize. 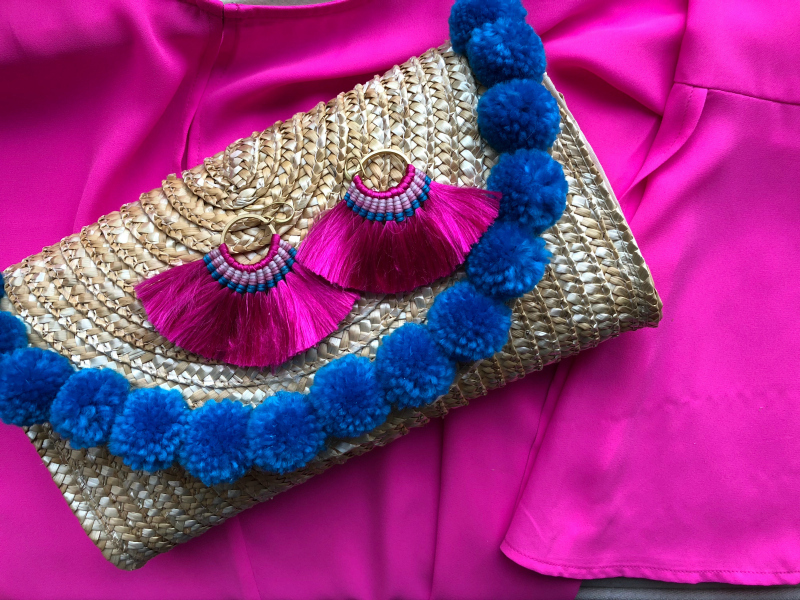 I was torn between a straw bag with handles and a straw clutch. 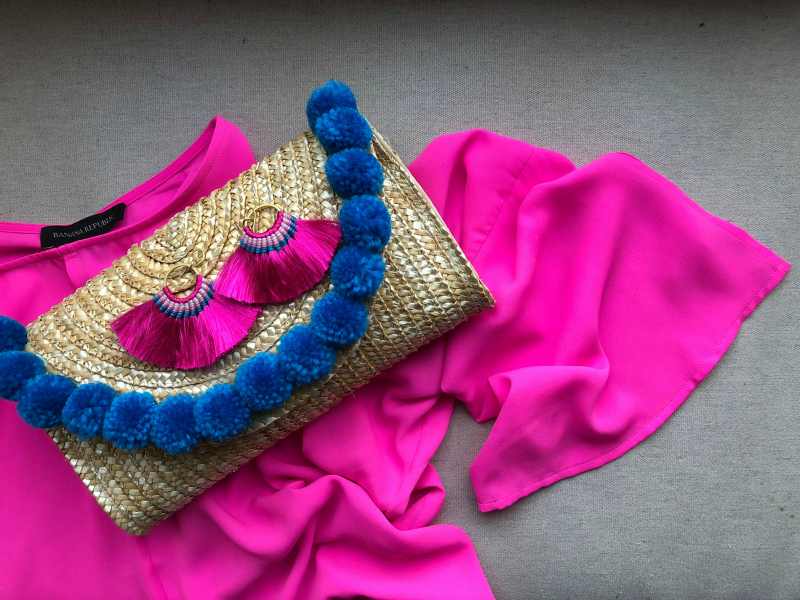 I chose the clutch because it’s more like an accessory to your wardrobe than a straw bag that you put down once you have arrived. A clutch is something that you can hold and keep near you at all times, and it really can kick up your outfit. 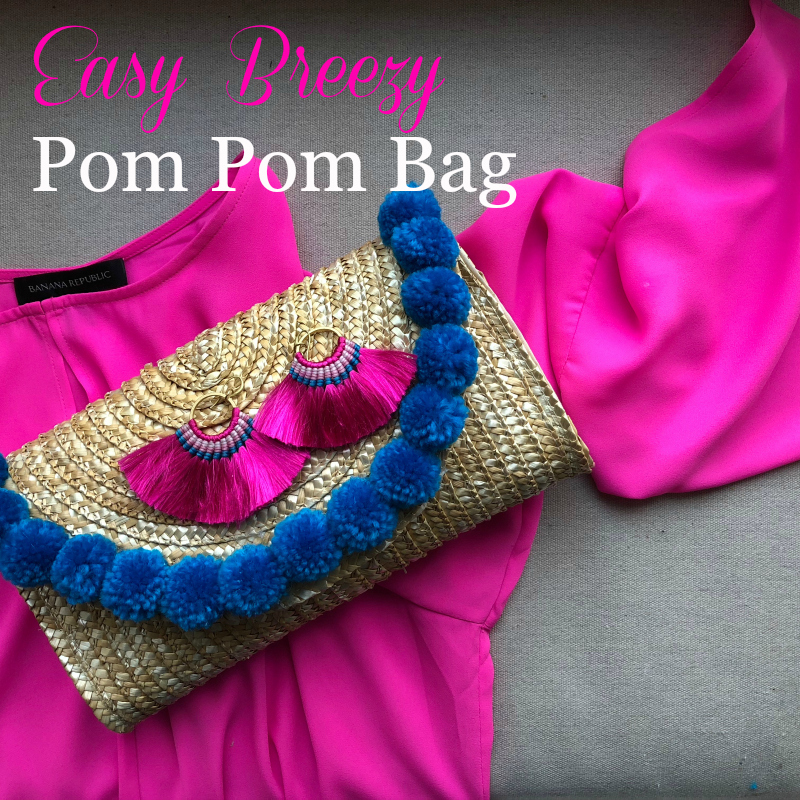 I bought some turquoise pom poms and hot glued them onto the clutch to complete an outfit that I plan to wear when we are on spring break. 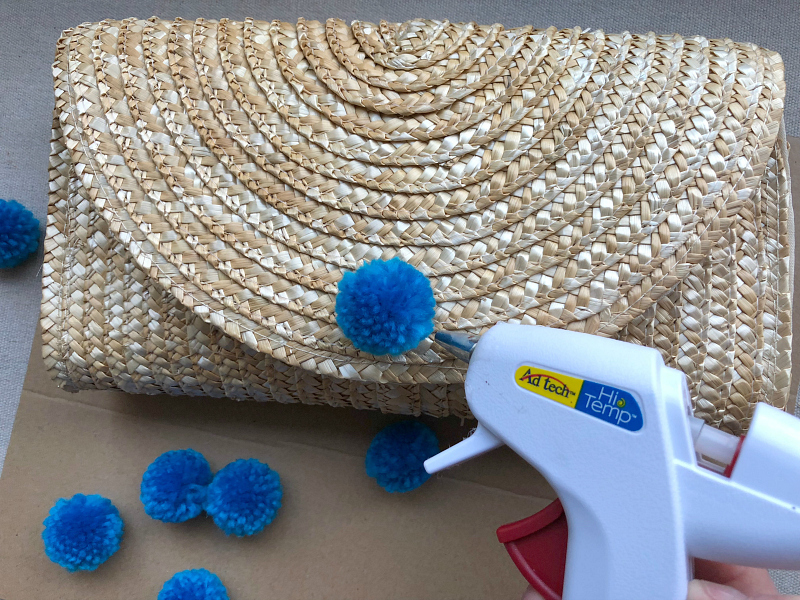 This is the easiest DIY Pom Pom Clutch ever, it literally took more time to warm up my glue gun than it took to glue on the poms poms. 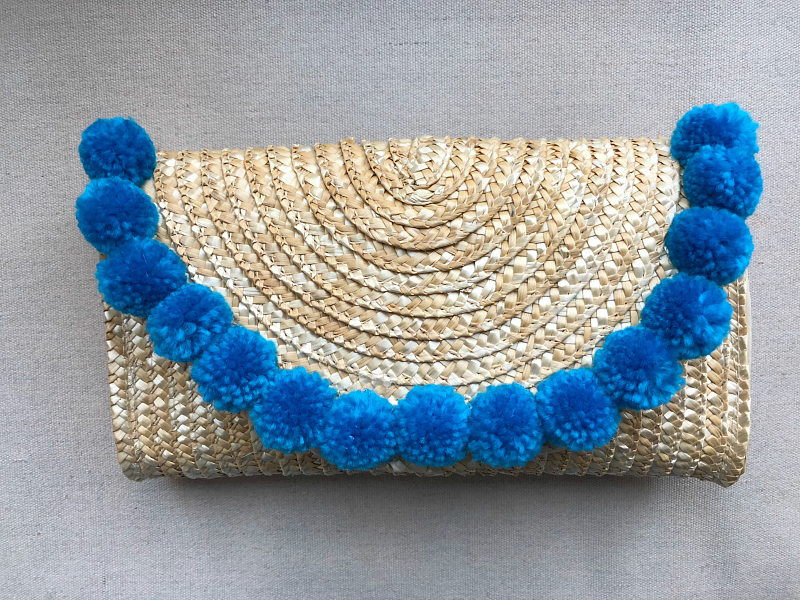 I loved how quick and easy it was to transform this straw clutch into something fun and summery. 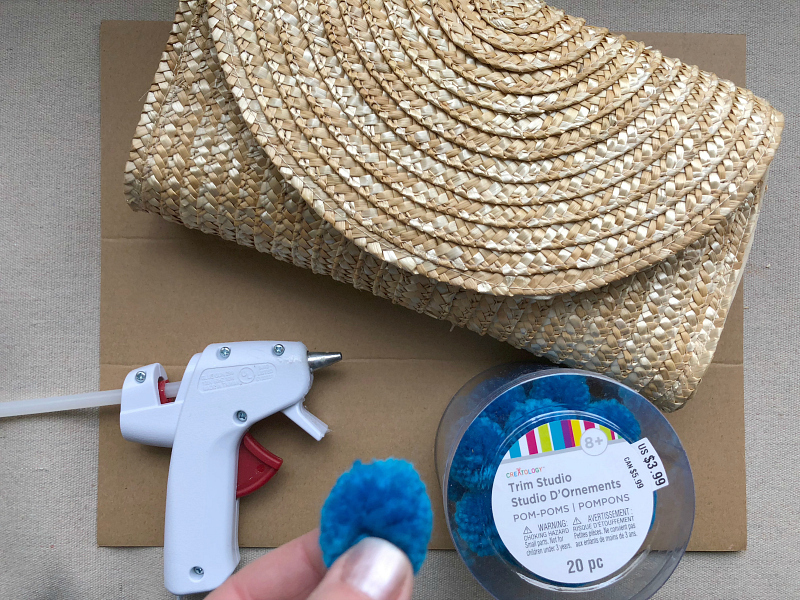 HERE is a link to the exact straw clutch (only $9.99) and Michael’s also sells glue guns/glue sticks and pom poms in a variety of sizes and colors. Below are the photos, happy crafting! 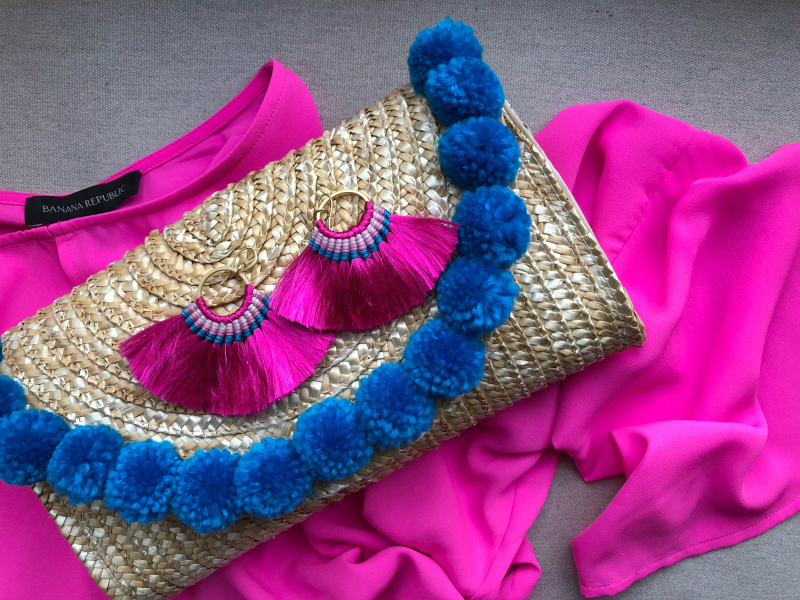 Even though I am showing this clutch with a neon pink blouse (from Banana Republic), it would look great with jeans, a white shirt and a sandal with a matching straw wedge heel. I’d layer on a ton of bracelets and carry the clutch in the same hand as all the arm swag.